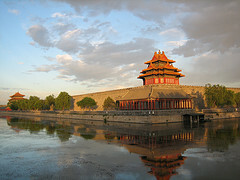 The Forbidden City The Forbidden City is a priceless testimony to Chinese civilization. Tiananmen Square Tian'anmen Square occupies an area of 49 hectares (122 acres), big enough to hold half a million people. It was named after the Tiananmen (literally, Gate of Heavenly Peace) which stands on its north side, separating it from the Forbidden City. 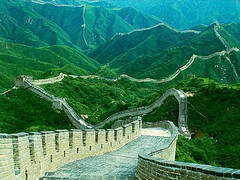 The Great Wall The Great Wall is a series of stone and earthen fortifications, built, rebuilt, and maintained between the 6th century BC and the 16th century to protect the northern borders of the Chinese Empire from Xiongnu attacks. 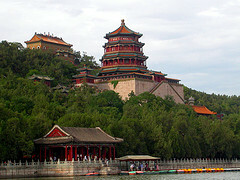 The Summer Palace UNESCO declared the Summer Palace an "outstanding expression of the creative art of Chinese landscape garden design, incorporating the works of humankind and nature in a harmonious whole." 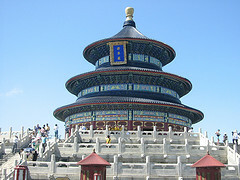 Temple of Heaven The dignified complex graphically illustrates a cosmogony of the civilization. 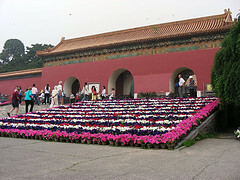 Ming Tombs The Ming Dynasty Tombs are located some 50 kilometers due North of Beijing at a specially selected site. 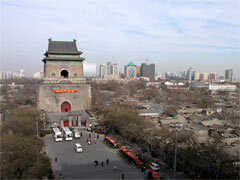 The site was chosen by the third Ming Dynasty emperor Yongle (1402-1424), who moved the capital from Nanjing to Beijing. 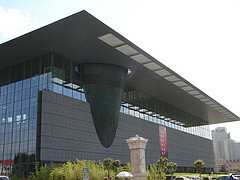 The Capital Museum With its striking modern architecture and impressive variety of exhibits, the Capital Museum has staked its claim as the best museum in Beijing. 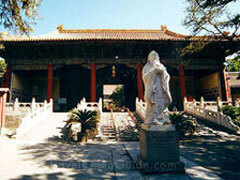 Lama Temple Lama Temple is one of the most important Tibetan Buddhist monasteries. 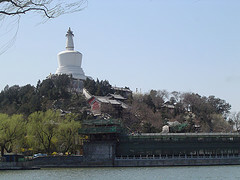 It houses a treasury of Buddhist art, including sculptured images of gods, demons and Buddhas, as well as Tibetan-style murals. Confucius Temple The Temple of Confucius is the second largest temple constructed for Confucius, ranking only behind the Temple of Confucius in Qufu, Shandong Province. 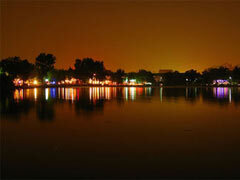 Beihai Park West of the Forbidden City, Beihai Park is one of the oldest, largest and best-preserved of the ancient imperial gardens in China. Bell and Drum Towers The bell and drum towers are prominent landmarks symbolizing the ancient capital city. 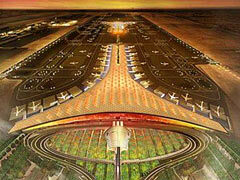 Both structures were built under the reign of Kublai Khan during the Yuan Dynasty. 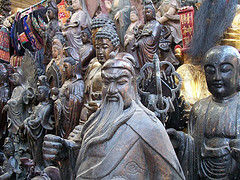 Panjiayuan Antiques Market Situated west of Panjiayuan Bridge and south of the East Third Ring Road, the Panjiayuan Antiques Market is Beijing's most famous antique market, growing from its humble beginnings as a flea market in the early 1990's. 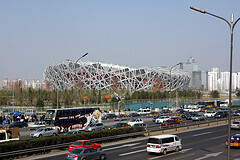 National Art Museum of China National Art Museum of China is a national level art museum focused on displaying, collecting and researching the works of the artists in China modern times. 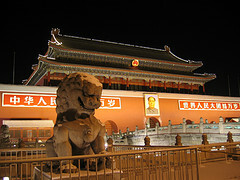 Chairman Mao Zedong wrote the name of the museum.